Benedikt Luft is a German illustrator from Frankfurt. Here, we’re sharing his ‘Daily Drawings’ series, which are ‘an ongoing free series of illustrative ideas’. They’re fun, frivolous and silly and most importantly they show a dedication to craft that we try and instil in all of our students. If you’re not doing it every day, you’re not going to get better at it! This entry was posted in Illustration on July 29, 2016 by stellenboschacademy. I see U is a project by Great Works Copenhagen that brings to light the issue of surveillance in our culture. It’s brought to life through a great website that uses glitchy graphics, cool scrolling effects and some other smart features to make you feel like you’re being watched. The project is still to launch as of now, but will allow members of the public to purchase and build their own DIY surveillance kits, which create gifs. If you want to learn more – you’re just going to have to check out the site! Set up your surveillance detail here. This entry was posted in Multimedia and tagged I SEE U, Multimedia, Surveillance on July 27, 2016 by stellenboschacademy. We’ll be at Open Design Cape Town in August. We’ll be at Stand No 1 and will be giving a talk at IdeaLab on Friday the 19th. 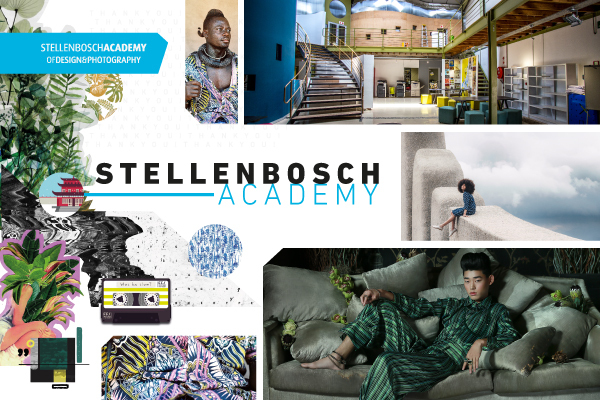 This entry was posted in Academy Work and tagged Cape Town, Open Design, Stellenbosch Academy on July 27, 2016 by stellenboschacademy. There’s nothing better than seeing local people doing well. This work that Justin Poulter recently did, commissioned by Droga5 for the launch of the Steph Curry 2.5 shoe is just great! He was tasked to create chalkboard-style illustrations which the team at Droga5 composited, creating short videos that played on Twitter during the NBA playoffs. We’ve included the raw illustrations here from Justin’s site to show you the detail and process that goes into a job like this. It’s so easy as a consumer to not be aware of how much work goes into creating something like this, but the man (and woman) hours are just staggering. Don’t forget to check out more of Justin’s work at his website above. And while you’re at it, have a look at a previous post we did about him too. This entry was posted in Illustration and tagged Illustration, Justin Poulter, Under Armour on July 25, 2016 by stellenboschacademy. When you’re looking for a big rebrand there are a few international agencies you can look to who specialise in doing this for enormous brands. One of the best is Pentagram, who just redesigned the Corporate Identity for Mastercard. Talk about pressure! Looking at where they’ve gone, you can see a natural progression of the brand identity, with a minimalist look and feel that feels right for 2016. It’s so interesting how you don’t see brand as dated until it gets a redesign, then suddenly the old logo looks like it was almost never relevant at all. That’s what’s happened here. And this is the mark of truly great CI design – being able to update something for the present that retains all the qualities of the previous design, while still being futureproof. Pentragram have done an amazing job here. Check it out below. This entry was posted in Design and tagged Design, Mastercard, Pentagram on July 22, 2016 by stellenboschacademy. Rodney Mullen is a skateboarder who has been innovating and pushing the boundaries for years, not only in his tricks and the way he skates but also in the ways he presents his work. Today we’re sharing his first new skate video in years. It’s called Liminal. Not only is the skateboarding absolutely breathtaking, the video itself is shot in 360 degrees, and we see the camera move around Mullen’s body as he’s doing his thing in ways we couldn’t even imagine. Even if you’re not the biggest skateboarding fan – just seeing how the art direction and camera work is done here is inspiring enough. It’s enough to make you salivate! Check it out below and remember: Do NOT try this at home! This entry was posted in Art Direction and tagged Art Direction, Film, Skateboarding on July 20, 2016 by stellenboschacademy. Ash Thayer is a photographer and mixed media artist who currently resides in LA. We’ve shared some images here from her project, Kill City, which chronicles her time spent with punks and squatters in New York in the 1990s. These images are not about perfect composition or the best possible lighting design, rather they are poignant pieces of documentary. We are given a window into a time and a lifestyle that no longer exists (at least in much of New York). Squatting and this kind of punk lifestyle is now much harder to find in 2016. This is the power of photography – capturing moments and creating cultural time capsules that we can look back on, offering us insight into a way of life or a way of thinking that can be incredibly hard to find. This entry was posted in Photography and tagged Ash Thayer, Documentary, photography on July 18, 2016 by stellenboschacademy.